So….this is my most favorite DIY I have done in awhile! You can use any color or make it more a pop of confetti with a variety of colors. *Quick Tip- Office Max has contact paper in all the primary colors and in white. you would like the backdrop to hang. 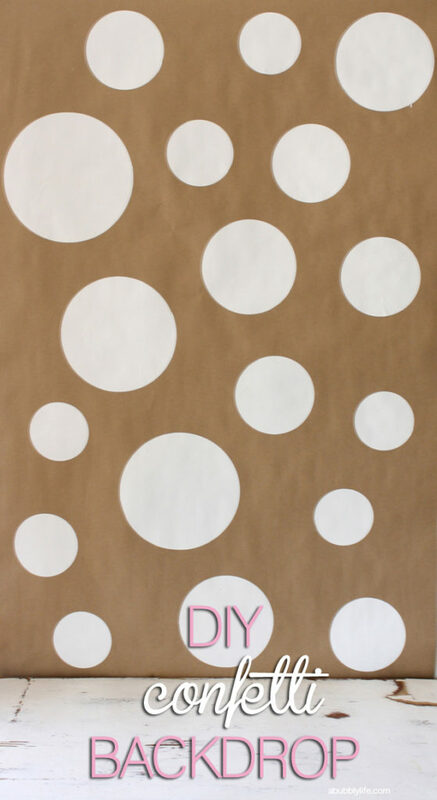 Cut the kraft paper to your desired measurement for the space. the backdrop pictured, I used 4, 6, 7, and 8 inch circles. lay out on top of the kraft paper. (The number of circles you make depends on the size of the backdrop needed.) Play around and move them until you get the look you want. the back paper on each circle to adhere the circles to the kraft paper. 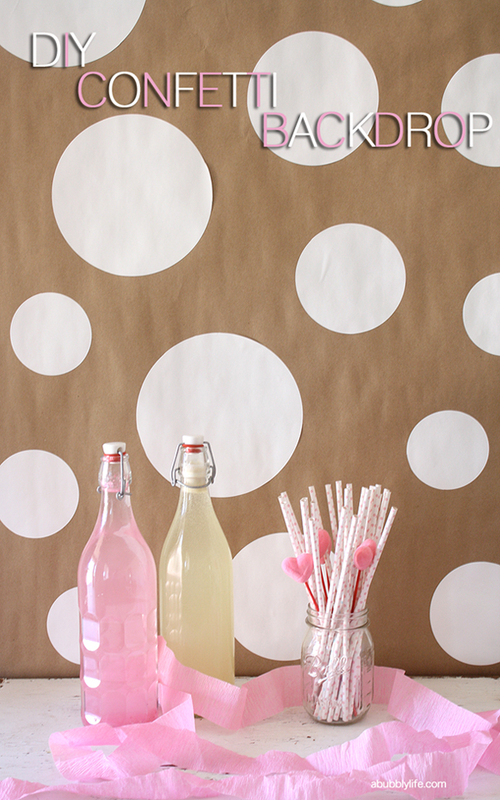 thumbtacks or tape, hang the backdrop to the wall. 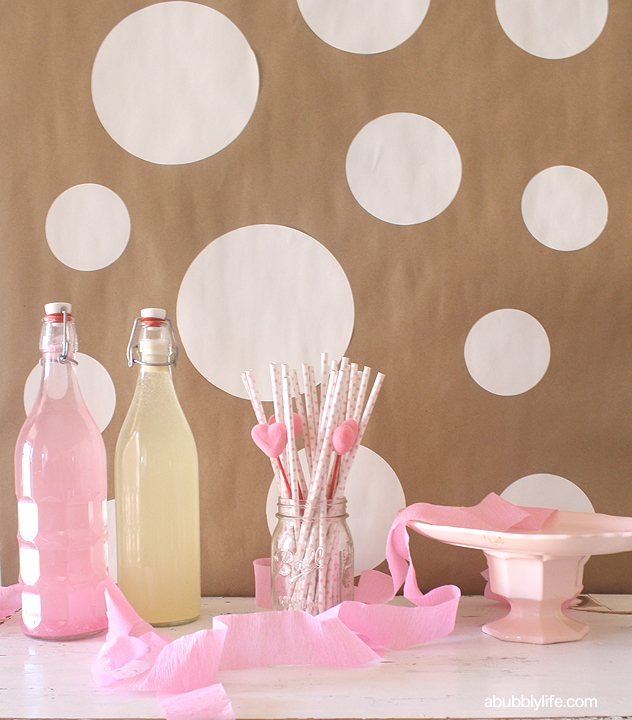 Use the backdrop for photos, a dessert, food or beverage table- it will look amazing! are done, roll up and use for another day! I hope you like it! Thank you for visiting A Bubbly Life! A Bubbly Life is on Facebook, Twitter and Pinterest, would love for you to join me there! 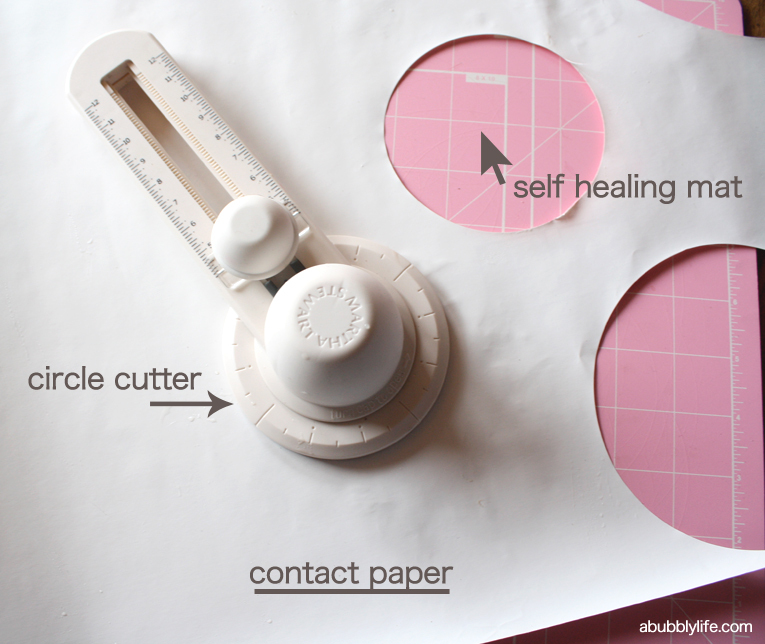 Where can you get the circle cutter? So cute! This would be great for my daughter's 1st birthday! Thanks for the inspiration! This looks great, much better than last time I needed a backdrop for my photos and had to hang my bedsheet from the curtain rail! came across your blog and am loving this idea! i pinned it for future! and have enjoyed scrolling through all your other great ideas! Love this! Doing it for my next soiree! Stopping by from SITS 🙂 Have a fabulous weekend! What a cute photo backdrop – love the colors! So pretty! SO simple and SO cute. Love it!